Want to Learn about Virtual Reality? 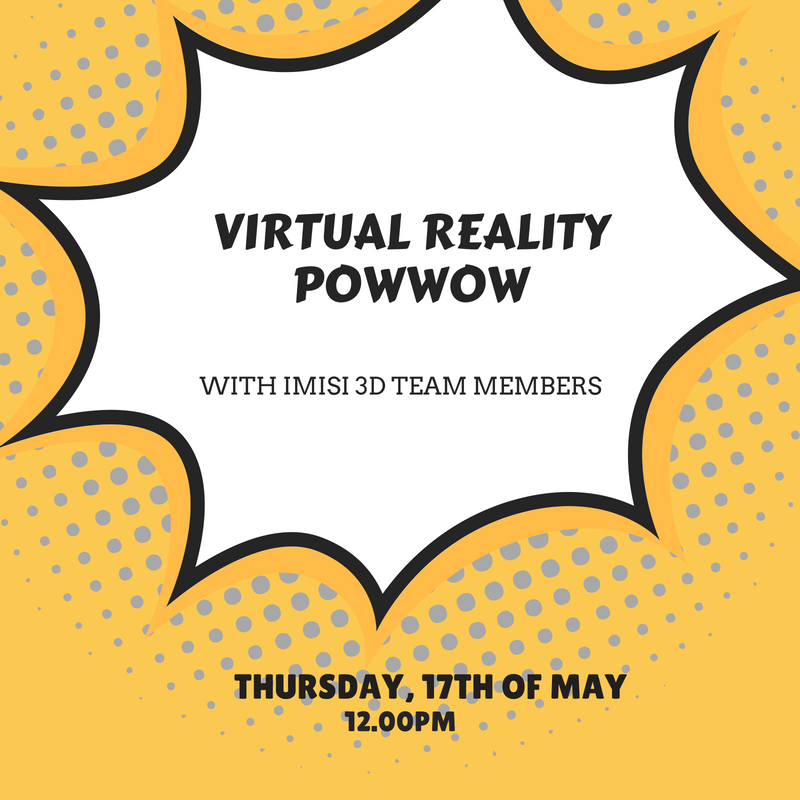 We are hosting a Virtual Reality (VR) Powwow with the Imisi 3D team members. They will be giving us a walk-through on key technologies in VR that they have learnt so far. If you would like to learn something new, join us!